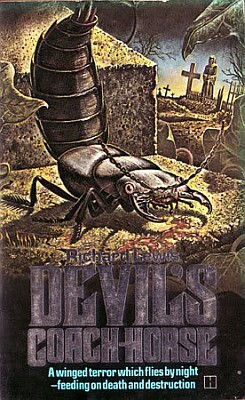 Creepy crawlies go on a rampage in Devil’s Coach-Horse (1979), a Hamlyn nasty by Richard Lewis. One of Lewis’ many insect horror novels (Spiders, Night Killers etc), it’s a slim, fast-paced read very much in the mold of James Herbert‘s classic The Rats (1974). 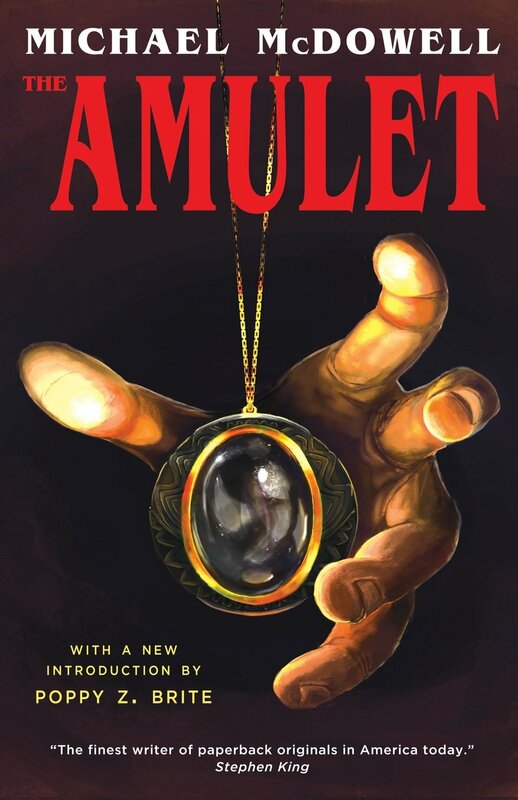 Although named after the most evil-sounding beetle, the novel actually features several species. They get a taste for human flesh in the Alps; scientists returning from a conference crash their plane on a mountainside along with a number of bug specimen on board. To survive, the beetles seek shelter inside the humans. Later, the frozen corpses are brought home and properly buried – together with the eggs the beetles have laid in their rotting intestines. Thus it begins. Soon swarms of beetles attack man and beast alike. As in all animal attack novels, the victims get their stories told. An abattoir guard whose wife has left him is one of the first victims, followed by a paranoid junior lecturer on a sexual escapade, as well as many others. It’s all very predictable, sooner or later the bugs appear and all the petty grudges and worries are forgotten as thousands of mandibles cut into the victims’ flesh. And that’s the fun and the appeal of the format. Devil’s Coach-Horse isn’t original by any stretch of the imagination, but the vignettes are well written and the action is reliably creepy, proceeding at a good, rapid pace. For depth, there’s an ecological aspect as well. It’s hinted that the chemicals we pour on our crops may be one of the reasons the bugs went berserk. The solution isn’t free of doubt either, and its implications create a sense of lingering horror. The threat might be over for now, but who knows what mankind will next create to bring about its own demise. 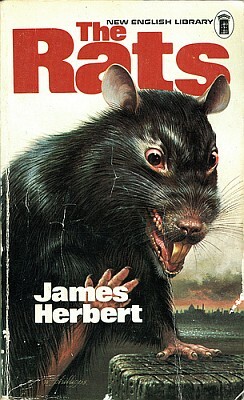 The titular rodents attack in The Rats (1974), the first novel by British horror stalwart James Herbert. Both a classic of the genre and surprisingly modern for its time, The Rats rises above common B-movie trappings due to the quality of Herbert’s writing. It’s not Shakespeare, of course, but writing good pulp horror doesn’t require a bard, it calls for a different sort of writer. The tale is set in the familiar mold of H.G. Wells‘ The War of the Worlds (1898); a singular event blooms into a society-wide calamity, all the while observed through the eyes of one unassuming everyman character. Here it’s Harris, a teacher, who learns of the beasts when his young student is bitten by one. More attacks occur with increasing violence, first it’s children, then outcasts of the society, finally everybody. Herbert fleshes out each victim before passing them on to the rodents. The small vignettes burst with details, painting a cinematic tableau of 1970s London. Herbert keeps things short and sweet, recognising that the readers are not here for a social treatise. There’s just enough to make the victims interesting, then it’s off to the rats they go. The rats themselves are a seething mass of fur and claw, overcoming their victims by their sheer numbers. There’s a splash of eco-horror in the story; common London sewer rats get supercharged thanks to another, possibly mutated larger breed brought to the UK secretly from New Guinea. These big bad rats are portrayed with human qualities, they often stare at their victims and seem to anticipate their moves. The attacks are vicious. Babies, moviegoers, animals at a zoo, all fall prey to gnawing teeth and gripping claw. A particularly impressive sequence of events takes place at an underground station, told from the viewpoint of several characters. First it’s a man on the platform, then a station worker, then people on a passing train, then the station master. With each changing viewpoint Herbert ups the ante. The reader knows what’s going to happen, but the joy is in discovering how Herbert pulls it off. The Rats might seem deadly serious on the surface, but inside it’s all fun. The Rats launched a fruitful career for James Herbert. 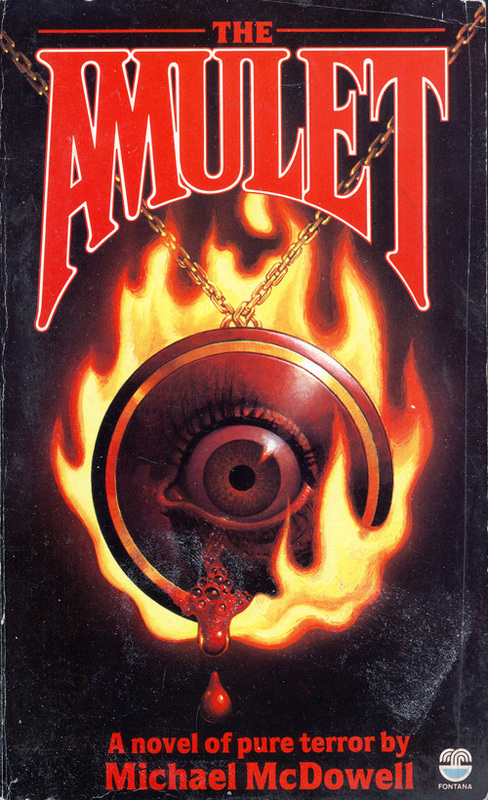 In the eighties, the novel itself spawned a movie and even a computer game. It also made horror stories about animal attacks popular – the familiar formula keeps reappearing through the 70s and the 80s, only the animals change. Herbert himself followed up on the furry creatures in the sequels The Lair (1979) and Domain (1984). However, as a standalone original The Rats is unsurpassed. Its strength is that it’s exactly what it says on the cover, a story about rats. Herbert works within very tight limits, but within those limits everything is primed to perfection. There’s a beautiful simplicity to a novel that sticks to its strengths with such tenacity, such single-minded purpose. If any book can survive a nuclear apocalypse, it’s probably The Rats.